It was with great sadness that we received the news of the death of Ragnar-Olaf Buchweitz, on November 11, 2017. Ragnar was born on March 18, 1952, in Neuruppin, Germany. He attended the University of Hannover in 1969, where he received a diplom in 1972 and earned his PhD in 1976. He did a thèse d’état in 1981 at the University Paris VII and obtained a habilitation in 1982, in Hannover. He became professor at the University of Toronto in 1987, where he transmitted his passion for mathematics for 30 years. Ragnar never lost the excitement for solving mathematical problems. In fact, he would always bring people together to stimulate fruitful and interesting discussions. He had a vast scope of knowledge in algebraic geometry, commutative algebra and representation theory, and had research collaborations with a large number of mathematicians, creating important bridges between the different fields. Communication was very important to him, as shown by his enlightening teaching, writing and presentations. A master piece was his 155 page manuscript “Maximal Cohen-Macaulay modules and Tate-cohomology over Gorenstein rings” which never got published. He would always present ideas by telling their story and by giving an idea of the big picture, which would make them even more appealing. He was a great mentor, and eager to provide useful guidance and help to anyone who would need it. In addition to his contributions to mathematics, Ragnar was a highly respected academic administrator. He served as acting chair of the Department of Mathematics, and he was the founding chair of the Department of Computer and Mathematical Sciences at the University of Toronto’s Scarborough campus (UTSC), where he also served as Dean from 2004 to 2009. He will be missed by his friends and colleagues. Our thoughts go to his wife Ruth and his son Ingmar-Olaf. 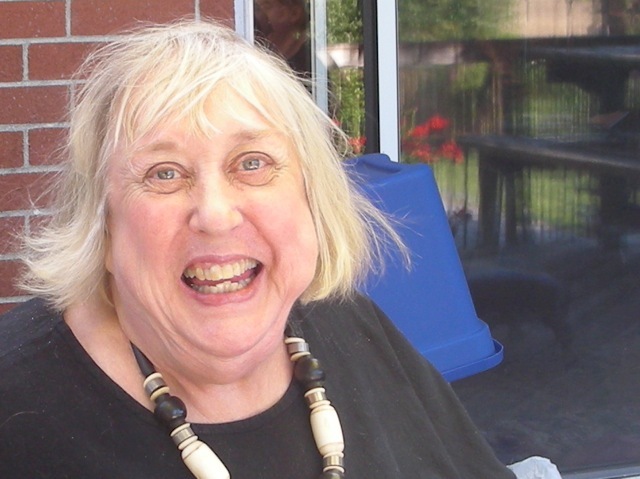 Harriet Botta, Professor of Mathematics at York University, died on June 23, 2016. She was the wife of the late Peter Botta, Undergraduate Coordinator in the Mathematics Department for many years. Harriet’s high intelligence and gift for mathematics made her unique. There were very few women of her generation who had the courage to pursue this subject; in fact, women were directed away from the sciences. Harriet faced great adversity as she entered the job market. She was told by the then Chair of the Department at the University of Toronto that she shouldn’t apply for a position here because she would be taking a job away from a male who had to support a family. Despite her disappointment, she persevered and eventually was hired by York University. No department chair today would dare turn away a talented woman scientist, and this is thanks in part to the determination of Harriet and a few other female pioneers to remain academic mathematicians. Harriet had a special relationship with her husband Peter. Finding a soulmate was not an easy task given the prejudice of most men of her generation against smart women. Peter was progressive beyond his time and wished to share his life with someone who could appreciate his scientific interests. Together they had a rich intellectual life, engaging in lively discussions on a wide range of topics. They were generous in these explorations, opening their home to all those who wanted to join in. Both Peter and Harriet were avid readers, so they had a broad perspective on many issues, challenging friends to think beyond their preconceptions. Often these conversations took place around the dining room table, while Peter served rarefied treats like blini and caviar and, on other occasions, heartier fare like the sausages and flapjacks of the lumberjack breakfasts of his youth. Harriet deeply appreciated Peter’s achievement of moulding the members of the administrative staff in the Department into a family. With his encouragement, they established harmonious relationships that extended beyond the office, and their long-lasting friendships will endure into the future. Because of the spirit of cooperation and the dedication that Peter fostered, he was able to bring about important innovations in the undergraduate mathematics program. To honour his legacy, Harriet established a fund that, each year, treats the administrative staff to lunch in an elegant restaurant. Her thoughtful gift makes a continuing vital contribution to the Department. She will also be remembered by her many friends among the faculty.